When a person makes the decision to stop smoking, the key aspect is to let go of the routine and change their perspective of cigarettes. Breaking an addiction like this is a challenge. Many people find changing how they think about something difficult. Hypnotherapy focuses on this change. 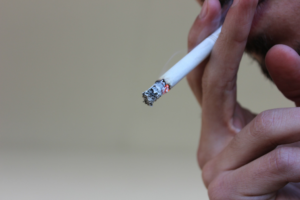 When considering stop smoking hypnosis, the first thing the person has to do is make sure they are choosing to stop for themselves. Hypnosis for smoking has been found to be most effective when the person really wants to stop.